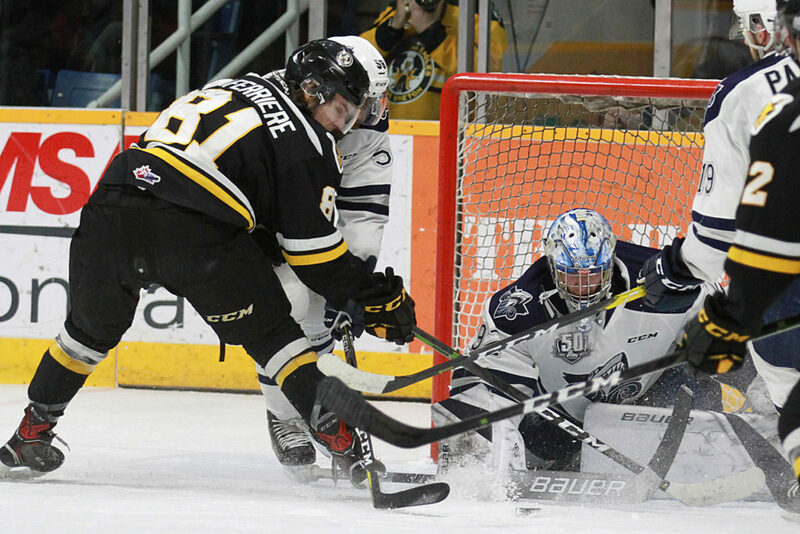 In a series that’s been tight checking from the get go, scoring chances were harder to find than ever as the Screaming Eagles and Rimouski Océanic combined for just 39 shots on Tuesday night. 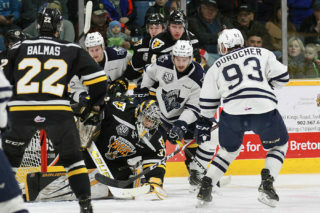 Only Rimouski was able to capitalize, winning 3-0 to take a 2-1 series lead. It was the first loss on home ice for the Eagles this playoffs. Both teams had a power play in the opening 7 minutes, but were unable to score. 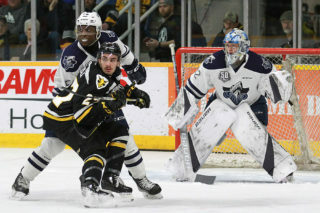 Alexis Lafrenière got things started at even strength for Rimouski at the 8:12 mark, picking up the puck in front of the net and putting it by Kevin Mandolese. It was the lone goal of the opening frame which saw the Eagles outshoot the visitors 9-5. Even two minutes of four on four early in the middle stanza did not do much to create scoring chances, despite a quick pace of play. The Eagles would earn two power plays though in the period, and the best chance of the night may not have been a shot on goal as Brooklyn Kalmikov wired it off the crossbar. It was a slim 1-0 Rimouski edge heading into the third period. 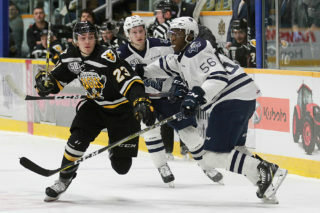 Before the three minute mark of the third period Rimouski doubled their lead. Carson MacKinnon was able to gain speed coming up through the middle of the ice, came up the wing and put it through the legs of Mandolese to make it a 2-0 edge. The Eagles were not able to capitalize not long after when Lafrenière was sent to the box. It wouldn’t be the final time Lafrenière would hit the scoresheet, although the next time would come with some controversy. Laferrière to earn the puck but no penalty was called, and he scored to give Rimouski had a 3-0 victory. The Eagles were only able to generate two shots in the third period. 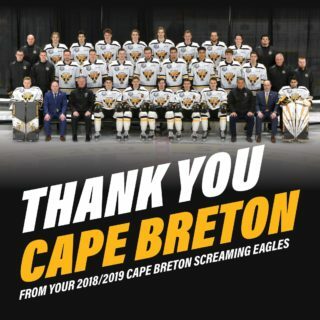 Defensemen Jordan Lepage of Rimouski and Antoine Crete-Belzile of Cape Breton both continued to miss game action due to injury, while Screaming Eagles captain Declan Smith missed his first game of the series with an upper body injury and is not expected to play in games four and five. Ellis stopped all 18 Eagles shots in the victory, while Mandolese stopped 18 of 20 in taking the loss.